Extreme performance airborne solutions for every professional use. All Sky Eye solutions are based on one powerful and flexible platform that can be modified to do almost anything. To enhance effectiveness and to be able to solve a wide range of particular tasks, the platform has been tweaked to accommodate specific sensors and different needs. Lightweight design with extreme flight times. Sky Eye Micro is perfect for smaller sensors and cameras, and super easy to transport. Proven design with extreme versatility. 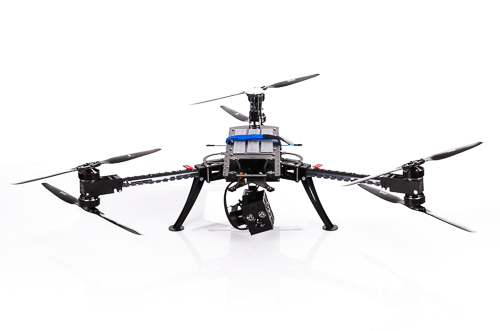 Sky Eye Prime designed to carry Flir Systems T-series, A-series, G300a and high resolution visual cameras. Robust design with extreme power. 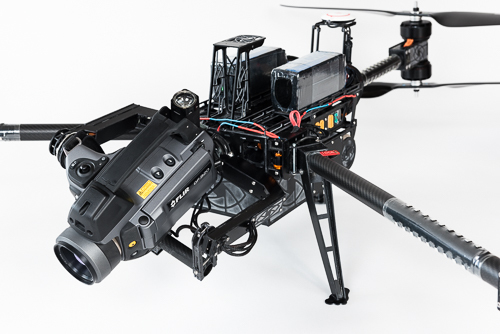 Sky Eye Mammoth can carry all Flir cameras, perfect for long missions and heavy payload. More than machine. Built-in intelligence. Every airborne solution comes with fully integrated software to get the most out of every mission – intelligence that helps you control your sensor over the air and collect data that is of actual use. 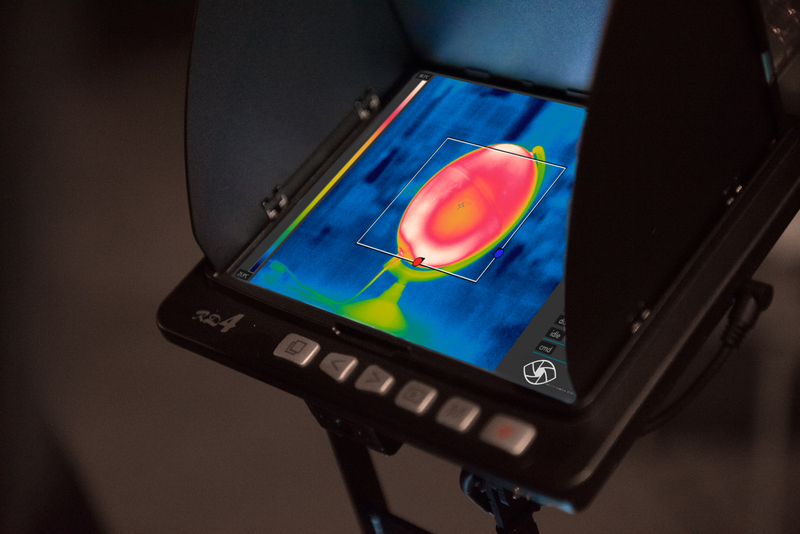 The software addresses even the most advanced thermal and optical gas sensors, opening up a whole new world of possibilities for industries and inspection workers collecting sophisticated data from the air. Effective with extreme sensor control. 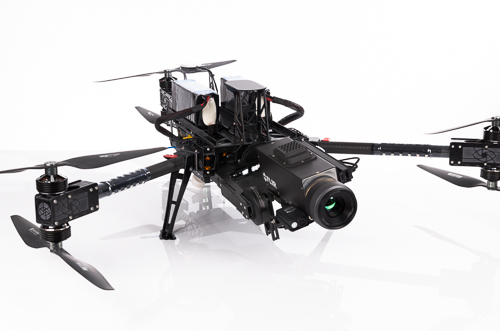 Sky Eye Sense Collect gives you instant control of Flir System sensors over the air. Unlimited. All you can fly and high speed data transfer. 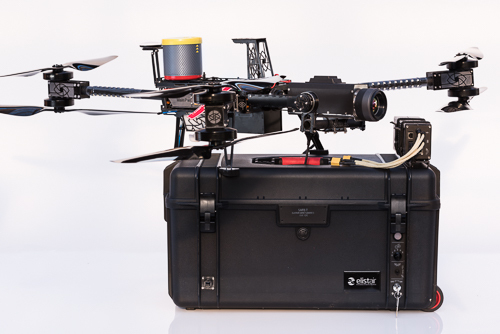 All our airborne solutions are ready for Elistair’s tethered stations for drones (Safe-T and High-T) to give our platform unlimited autonomy and data transmission for secured operations. 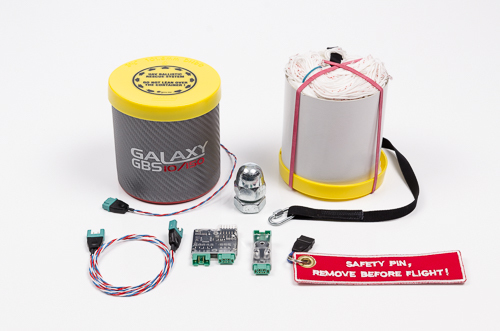 A direct power supply from the ground station through the micro-tether provides unlimited endurance and replaces the battery, resulting in a continuous, reliable, and secure power source. The micro-tether is armored to withstand more than 100kgs of traction which guarantees unbroken and unjammable data transfer. This tethered system is able to run from several hours to several days. Designed to be in adequation with Civil Aviation laws, the system brings a greater legal flexibility of operations. Want to know more about working with tethered solutions? In case of emergency. Ballistic recovery system. Want to know more about the rescue system for our solutions?